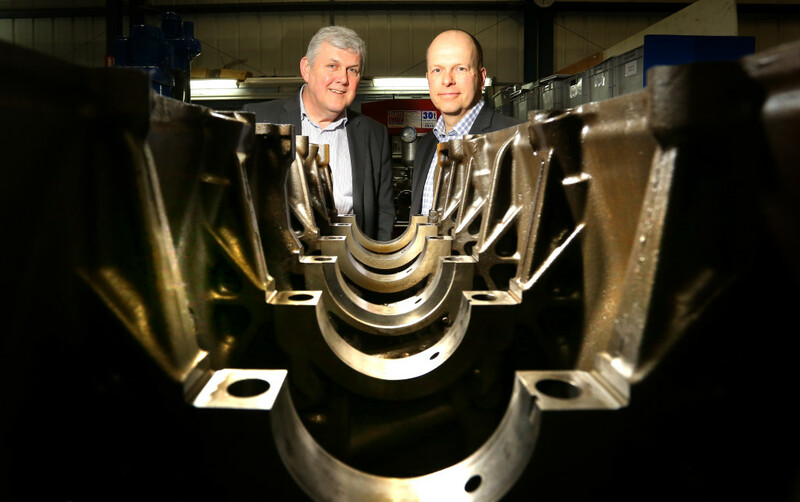 The role of outside investment in helping a specialist North East engineering firm win contracts around the world has been praised by its management team. Royston Power Generation sells, installs, maintains, services and repairs diesel engines for a wide range of domestic and overseas blue chip clients in the marine, offshore, utility and defence sectors. As part of its growth strategy, the Newcastle-based business has worked with regional fund management firm NEL Fund Managers for more than a decade, with NEL’s initial investment providing the funding required to support various capital projects that Royston was undertaking in 2007. NEL subsequently invested in the successful development, launch and roll-out into global markets of Royston’s enginei fuel and engine monitoring system through investments in 2009 and 2011. And last year, NEL made a further £400,000 investment from the Finance For Business North East Growth Fund to help Royston build its advisory and consultancy work with clients around the world, as well as to add new power generation systems and equipment to its product range. Since then, Royston has expanded its dedicated enginei support team on the back of growing global demand, including the installation of over 30 new enginei systems offshore support vessels and pilot boats in Nigeria. Closer to home, it has completed the overhaul and maintenance of engine systems and components for a specialist Royal Navy support vessel operated by Serco Marine Services at Devonport on the south coast, and supplied and installed new engines for two well-known passenger service vessels operating on Lake Windermere. Founded more than three decades ago, Royston Power Generation employs around 70 people, most of whom are based at its Walker Riverside headquarters. As well as assessing the power generation systems that have long formed the core of its business, the company is equipped to take a holistic view of how energy is used in every part of a client’s vessel, and makes recommendations on how efficiencies can be improved as well as identifying and remedying any faults. Lawrence Brown, managing director at Royston, says: “We’ve maintained a positive and mutually beneficial relationship with the NEL team over the years, and its impact on our business is plain to see. “The knowledge NEL has built up about our business means they’ve quickly been able to comprehend the ideas we’ve put to them, and their investments have been central to us making the most of the new opportunities we’ve created in different parts of the business. “The expansion of our enginei team means we can both respond effectively to current demand and also continue to develop and enhance the enginei system capability to meet the constantly evolving needs of the international marine sector. David Thomas, investment manager at NEL Fund Managers, adds: “Our investments have supported the drive of many North East firms towards national and international commercial success, and it’s great to see how Royston’s operations have evolved over the years.